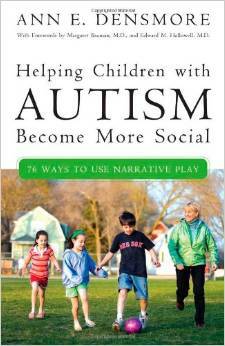 The underlying goal of my Narrative Play Therapy method is to develop a trusting, safe environment to relate to the child with autism or PDD and to make a special connection in the therapeutic process. 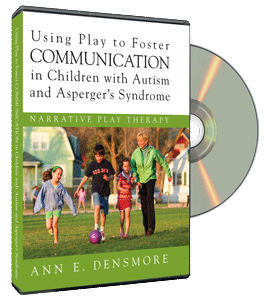 Narrative Play Therapy includes a set of specific strategies to facilitate the child’s development in language, play, and narrative. 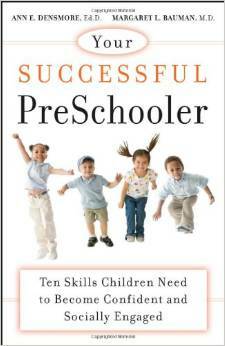 The first step is to meet the child in his or her comfortable, non-social state. Next, we work with children who are distant from others so they can begin to connect emotion and language through the use of a story. In time, we can show children how they can use their language and social skills to move into the world of connection with others. The good news is that with this method, I see these children get better, families develop strategies for coping with this disorder, and a closeness develop within families and with the specialists and schools that treat them. I feel privileged to be a part of this work. The following chart (click on it to view larger or download pdf) illustrates how a child moves through the four phases of Narrative Play Therapy, a method of child therapy that I developed over 30 years of working with children with autism. The chart includes three domains or skills that a child uses to relate to others in interactions: language, play and narrative. Each child is different in his/her development throughout the phases and also within each domain. Some children do well in developing language and cannot play, while others have excellent play skills but they cannot use language to express their own ideas or narrate actions as they engage with others. In the fourth phase, all three domains come together––a child can talk with peers about his play, use figures with meaningful actions, and tell stories in play. Click image to buy Ann's book. Click image to buy Ann's DVD. Check out great coupons for Child Talk on LocalSaver!